Miracle treasure of ocean. Extremely very rarest and extremely very powerful sangu. No any conch can come in power near this conch. 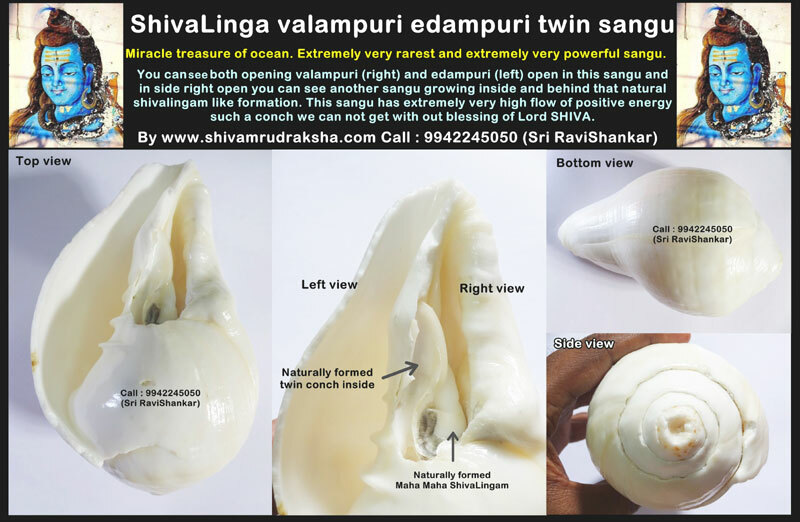 You can see both opening valampuri (right) and edampuri (left) open in this sangu and in side right open you can see another sangu growing inside and behind that natural shivalingam like formation. 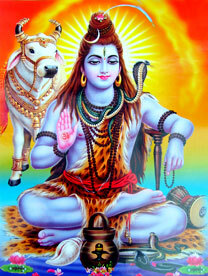 This sangu has extremely very high flow of positive energy such a conch we can not get with out blessing of Lord SHIVA. By keeping this ShivaLinga valampuri edampuri twin sangu with us. GIVES FULL & FULL BLESSINGS OF LORD SHIVA.